I have planned on making a build thread for both of my Elises, as they are both ridiculous in their own right. Here's one of them. So I had been in the market for an Elige to build something stupid fast with, preferably something already turbocharged to save me a bit of trouble. Even better k swapped to save the trouble of sorting that out, although I have no doubt stupid power would be doable on a 2zz I think the k20 would be a better platform. 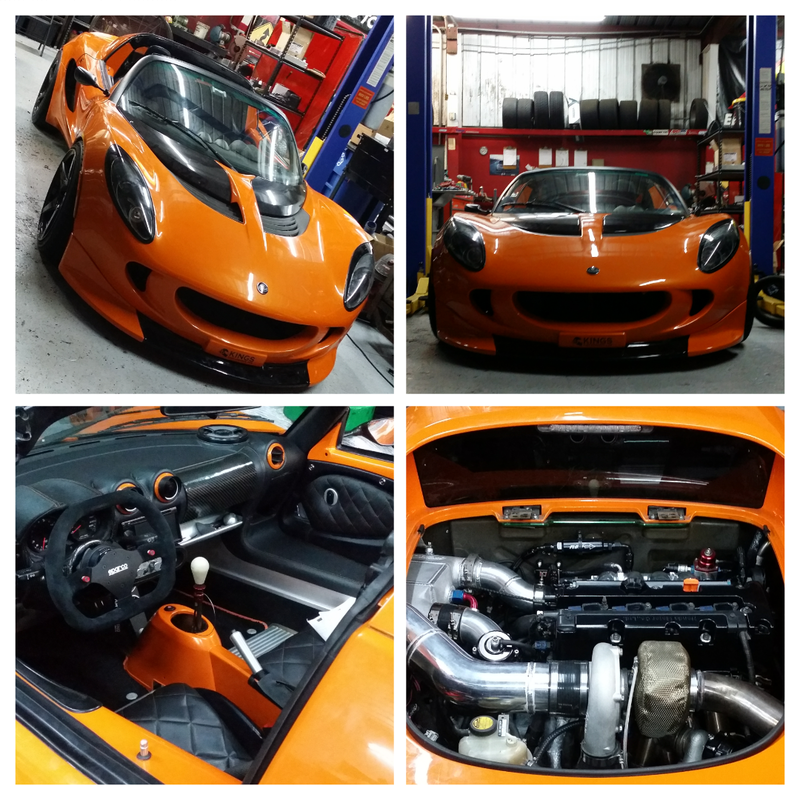 The Kings Performance Lotus came up for sale in late June 2015, which I only had to sleep on the thought of buying it for a day before deciding to put in a deposit. A bit more sorted than I had intended to buy, but certainly on the right track and well in the direction I was wanting to go with the build. The goal is to make a killer street car. Something close to an end all. 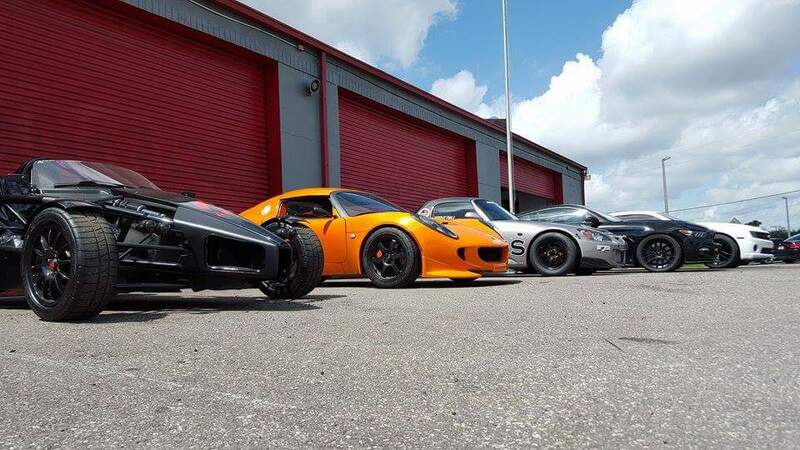 To have a Lotus keep pace with the Supras, Corvettes, Vipers, Gallardos and GTRs at drag and roll race, and dominate them and everything else when corners are added to the mix. The plan is to run this car at national level drag and roll race events, e.g. TX2k and Texas Mile. Locally I will track and autocross the car because why not. Depending on how the car behaves I may run it at higher level road course and autocross events. I will also probably daily the car in the warm months This is not my first rodeo. There are a lot of videos, forum threads, etc on this car already. Some controversy there over a “drag lotus” or “that’s not an Elise because it makes too much power or has a k20 or whatever”. 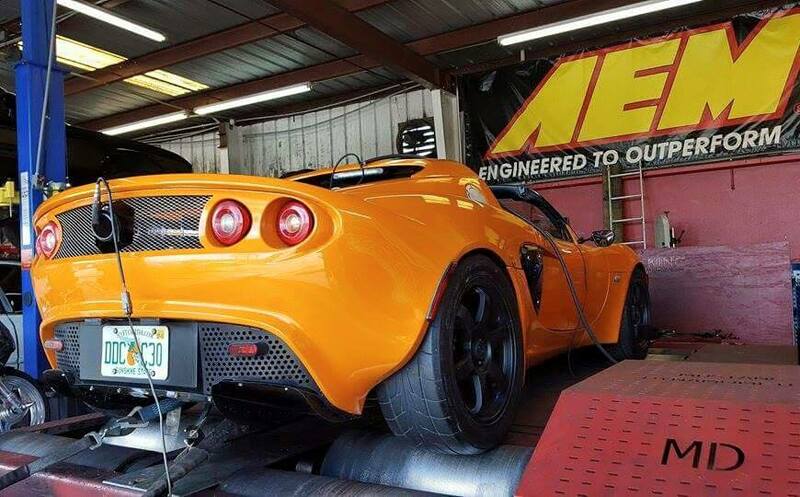 To which I say, an Elise doesn’t come with the 240whp a VF2 or Rev300 makes so is that not really an Elise either? How about a Rev400? Where is the line drawn? Frankly I don’t care. I put some 35k miles on an NA 05, I think the VF2 was a marked improvement. Some more power on top of that even better. Better coilovers and steering arms better yet. Ditch the fragile C64 trans, more confidence in the car, an improvement in of itself. Etc etc One toe link failure or oil starve is all that you need to figure out beyond doubt the Elise could use improvements. Constructive comments and suggestions for meeting these goals are appreciated and will be taken under advisement. Before I start adding my contributions to the car, here is the build list as far as I know. Between the last two owners, I would guess there is near or over 80k in the build, and I am sure I will pay my dues as well. Inadequate amount of rubber. Until I decide to go all out in a certain direction, this is what I think will be most appropriate for one tire setup being used for everything and being capable of driving to and from events like a true street car. V2arms or similar and proper alignment and corner balance and lower down to ~118/123 f/r ride height or as the geometry allows. Tune for E85. Pulled the 1650cc injectors from my SSM car and swapping those for the 1200cc that were in the car from King’s. 1650s were oversized in the SSM car so it works out. Waiting to hear from Kings on how it comes out but the expectation is well over 700whp on Mustang dyno. 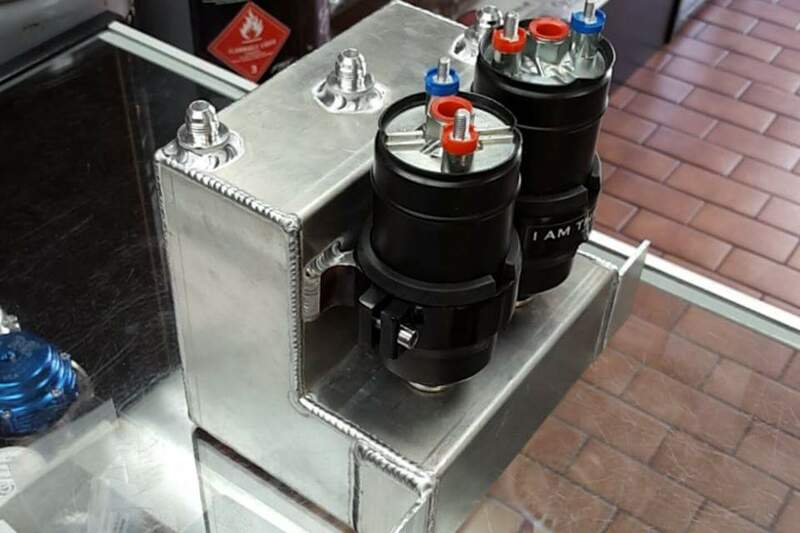 The ECU will also hold a map for 93 pump gas at around 500whp which may be more manageable for races that involve corners. I have some concerns about the adequacy of the charge cooling system when tasked with road course duty. 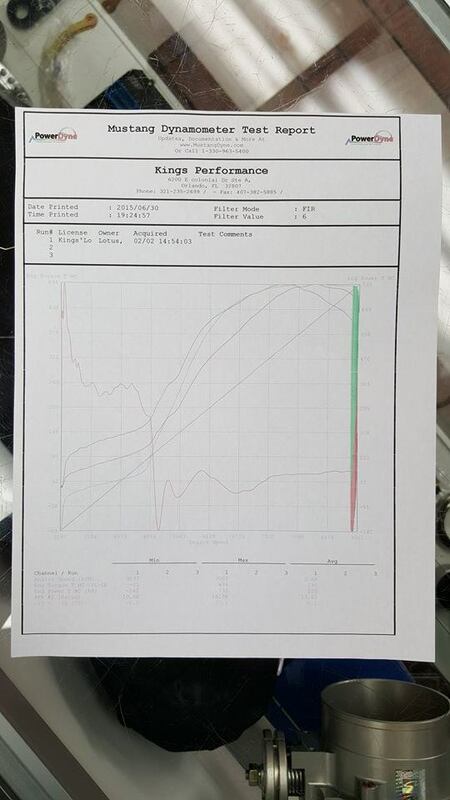 In a forum post bbs350z says that it had no problem keeping IATs within 10c of ambient in Arizona heat, and Fernando, the owner of the car with King’s Performance told me he had no problems with Florida heat either, but he never road coursed the car and used ice in the reservoir for very low temps when he drag raced. Maybe (hopefully) it’s fine, more experimentation needed. 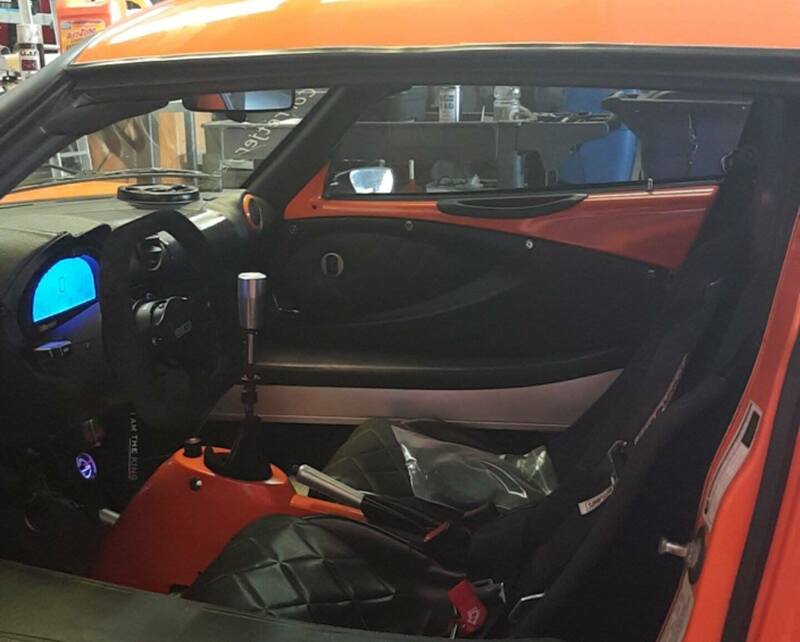 I have already ordered a second set of trunk mounts for my comically huge maximum allowance SSM wing to move it between my 100% prepared SSM car and this car which I may run in XP for kicks and grins. Will probably move my 275 A7s between cars also. Probably will move the sparco wheel to my SSM car and the momo team from it to this car. Have a few other ideas but need more experimentation. Last edited by dallasreed; 07-06-2015 at 05:32 PM. The transmission in this car is over the top. I think it can be set up for no lift shifts in the ECU, that is something I will explore. Wow... Great buy man! You must have been all over it! What a beast! Great to see what is possible out there! I look forward to reading more! Congratulations! Well bought! It would be a sorted car. 1. 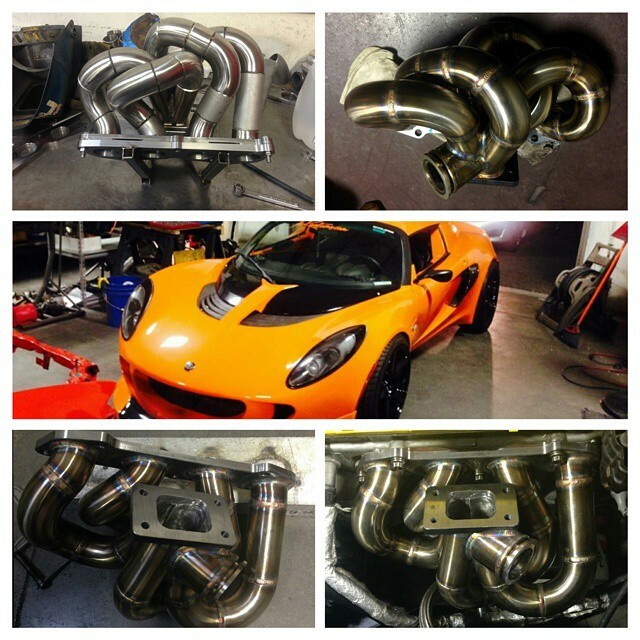 See my Widebody thread in racing forum. My car is very similar. 5. With the tire height you are contemplating, the stock suspension cannot be lowered enough without compromising geometry. 6. I think air-to-water intercooling should be adequate for track, as long as right parts are used. I like air-to-air for road racing... It is a personal choice. 7. There is another Quaife road-race gearset with taller 5th. There is a new 4.1 final drive. This will make the car quieter on the street and faster on track. 10. I thought, I read somewhere here that someone made a proper A/C adapter. Maybe SunSpeed (.com)? 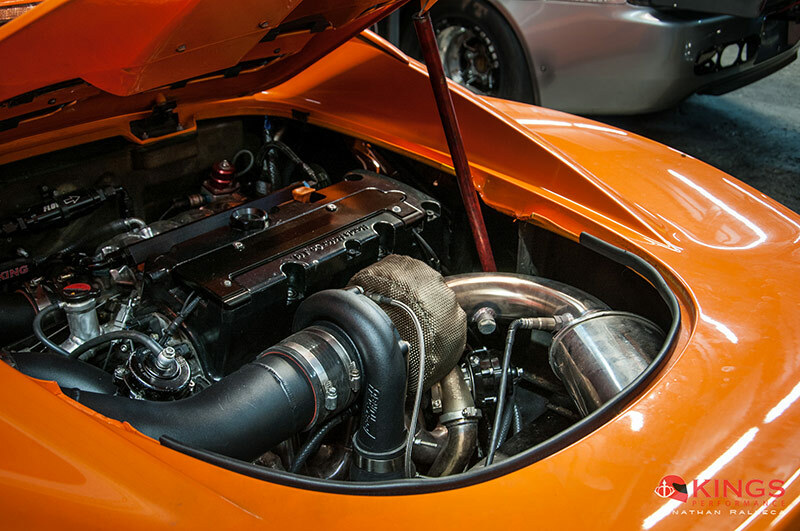 The car has AEM V2. 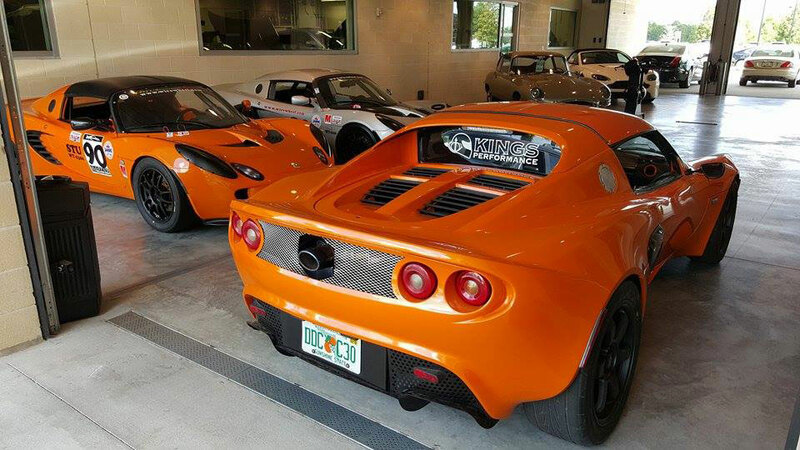 My other elise has EFI X2 which I know can do the blipping, but I have an E153 there so different ball game. This I am interested in. I may end up even wider, though. Time will tell. The thought there was to first try the maximum I can fit under the stock front bodywork without rubbing, then move up from there. Ronin suggested 225 minimum and runs 245s, but he uses BFG R1s. I already own a pair of 16x8 ethos wheels to try 245s. One set has A7s and the other has RA-1s (almost the same as R888s), and 17x9 for any larger though I don’t think 17x9s on the front would go over well clearance wise. On the SSM car I have ran before 16x8+245 A7 combination and at 118 ride height rubs the frame at the inside rear before you hit full lock and spacers will make it “self clearance” even worse in the front. This is with the wheel well liners and the mud flap thing already removed entirely. I do have spacers available to run 15x9 miata wheels which may be an option. I may switch to grippier tires such as BFG R1s or similar also. My problem there is I would like to keep it a streetable car and that means being able to drive in the rain. I am also not wanting to have any more unsprung weight in the front than is needed. I pretty much plan on cutting the clam anyway so we will see. I have some understanding of how all that works. I suppose I should clarify my reasoning. The 175/55r16 Yoko AD07 OEM fronts are 23.5”/596.9mm overall diameter. The minimum suggested ride height is 120mm. 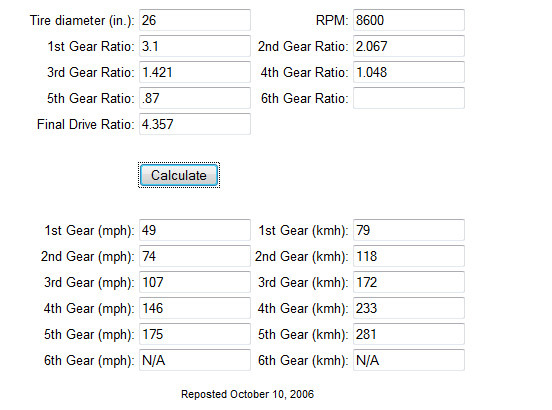 That is based on the front axle at roughly half of the tire height (298.45mm), this not accounting for how much the tire flattens on the ground touching side, but let’s assume that that is not much of an issue for comparing different setups because they will all have a ground touching tire. 225/45r15 R888s overall diameter is 22.8”/579.12mm. Half of that 289.56mm. This buys me roughly the difference in drop for free from running smaller diameter tires. Close to 9mm. So maybe I could hit 111mm in the front. 118mm would probably put the roll center in a better place. This will get figured out when the car is on the rack. But either way it should not be hard to keep the tie rods parallel to ground here. Ideally the rear will be +5mm. My experience with the rear is that 115mm is about what is doable with the OE setup, maybe closer to 120mm. Been awhile. So in the rear I may have to run 130 with the stock uprights to keep the A arms level then run the front at 123 with a bit more rake than usual or run 125. Will see how that comes out. This is all theory before actually doing the alignment to guess what may be achievable. What will actually be done is as low as whatever doesn’t take the A arms passed horizontal. In the rear I am not as concerned as the front either way. I have 40mm drop uprights in the front and rear of the SSM car so I can pretty much do whatever within reason there. I have it in the 90s. The problem I have with going with aftermarket uprights is that if I lower the car too much it will become unstreetable, and I am already quite concerned about the longevity of the fancy splitter. Ronin suggested that his car had about double the charge cooling capacity, more heat exchangers and pumps and that what this car has would be inadequate. I guess I will find out. I have Penske doubles in the other car. I think that the springs may be interchangeable, or at least the same as the Hyperco springs that can be used on the Penskes. The BC racing shocks use 50mm (2.25) springs, 180mmn length for the fronts and 220mm length rear. 30 clicks of adjustment for compression/rebound. Fernando has drove the car to and from work and has put something like 2000 miles on the setup and holds that the transmission is his favorite part of the car. So here’s hoping I feel the same way after that much. I will have to have some time with it to make a call on that. After seeing the dyno plot I think it may be acceptable. I do have a 6262 already I may put in its place that I think will respond better. 6262 is what is in the RS211 fwiw, also. The is only one Quaife gear-kit for Honda K20. 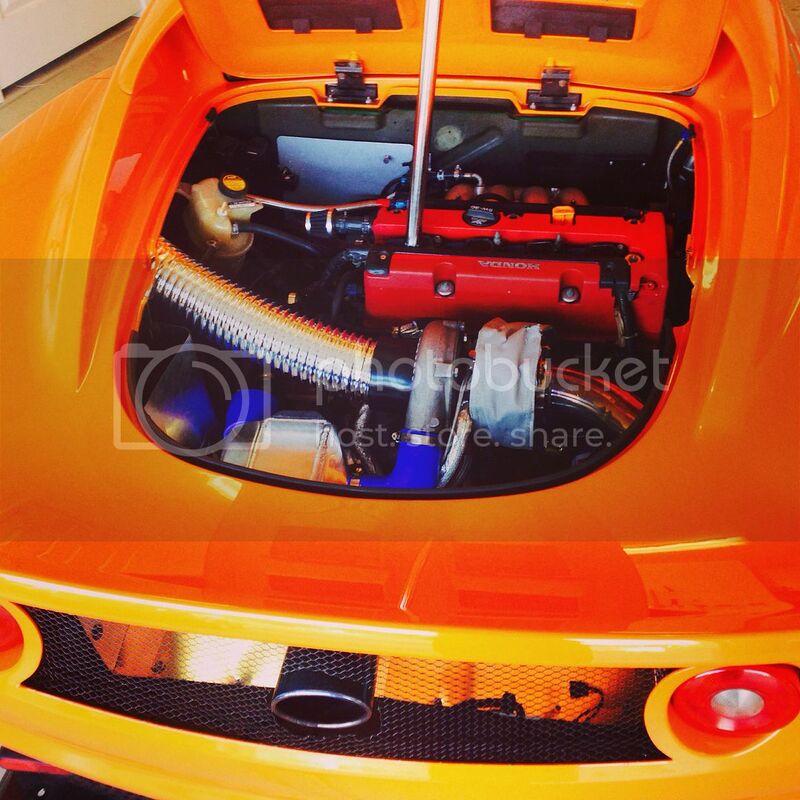 There is what appears to be a similar kit for Toyota/Lotus. BWR sells the Lotus kit. There is only one US distributor for Quaife, Motorvicity. You found the original article. Check Quife web-site and catalog for updates. Quaife re-uses the front of the transmission case and reverse gear. I bought a billet front case, as well. There is a Quaife thread, started by me, on the K20a.org forum. I do not think it does anything for downshifts, may be open loop. I am interested in the pro-shift system. Going to send some inquiries. How is the geartronics for downshifts, that's where things get tricky. FuelTech is not a closed loop system. It would work for 1/4 mile race, since all the shifts are very similar... It would work OK in general, but is not ideal. same functionality is built into the K-pro. It is for no-clutch up-shifts. You are trying to achieve reliability by making sure that the shift happens with no load on the dogs and full synchronization of input and output speeds... OEM's use dual-clutch units with synchromesh. OEMs are not stupid. Both of these technologies provide reliability. We are dealing with a single-clutch dog box with sequential shifting. This is not good for reliability. Hence, I advocate, the use of a good closed-loop shift control box. Geartronics is good and inexpensive (if no paddles). Pro-shift seems to have a good rep. There is shiftec and some high-end ECU's, like MOTEC, have closed loop shifting built in. Geartronics GCU is inexpensive and offers everything other than paddle shifting. It provides a blip signal with 20A of current. However, you have to set-up the mechanism or buy pro-shift's. I set-up my own downshift blip solenoid. It works well. It took me a while to decide between pro-shift and Geartronics... Look around and make Your choice. While the car is still at King's I am having them tune for E85 and mixtures with a flex fuel sensor. 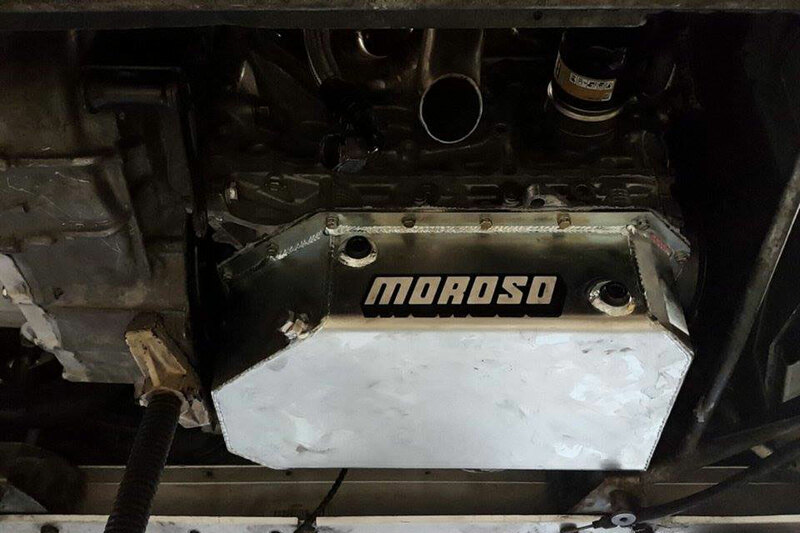 The idea is to have a map running 93 around 500whp and a map >700whp on E85. Either way I would like able to switch from E85 to 93 every few tanks to clean the system of potential E85 gunk. 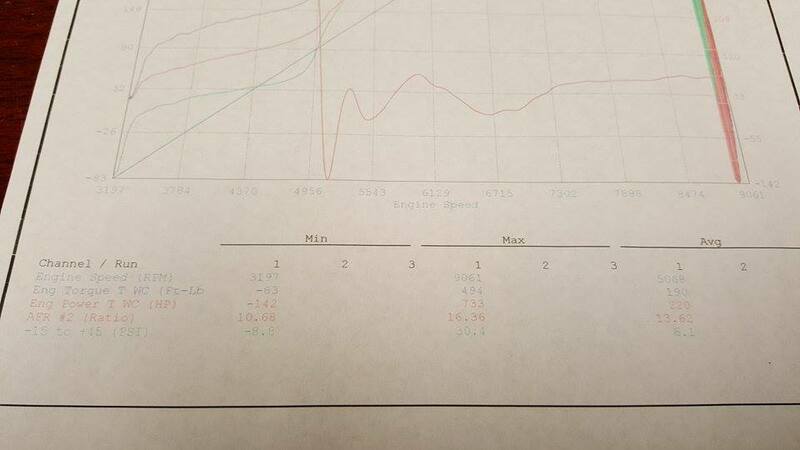 The car previously made 749whp at 32-33psi on Q16. 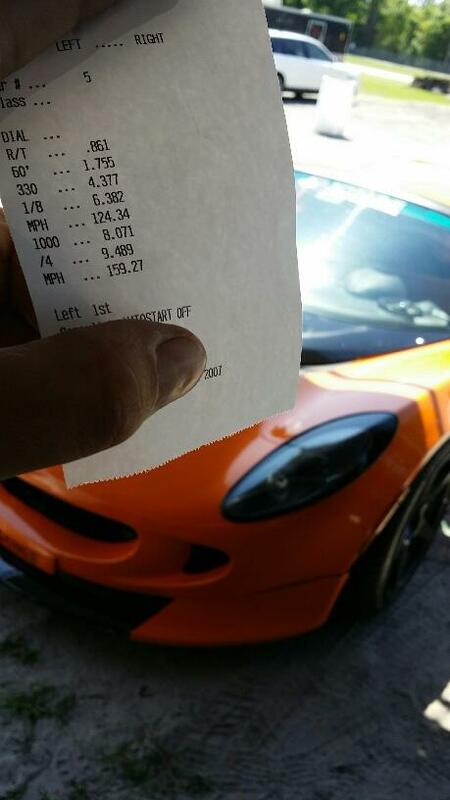 9.48 1/4 was ran at around 29-30psi. 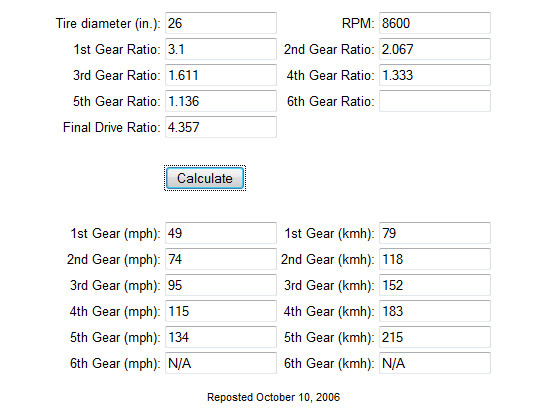 Engine should probably be able to do 1000hp but to be safe for the bottom end will keep it under 800whp regardless. Injectors I have can't provide enough flow for E85 that high anyway. at 22-23psi the clutch is slipping. He tried doing a pull in 5th gear thinking that it was the tires, but is the clutch. The car is making more whp and torque for sure. driveshaft shop is going to build some axles for this car as the reliability of the current axles is questionable, especially when paired with mickey thompsons. That may have had something to do with the rolling launches in the videos online. 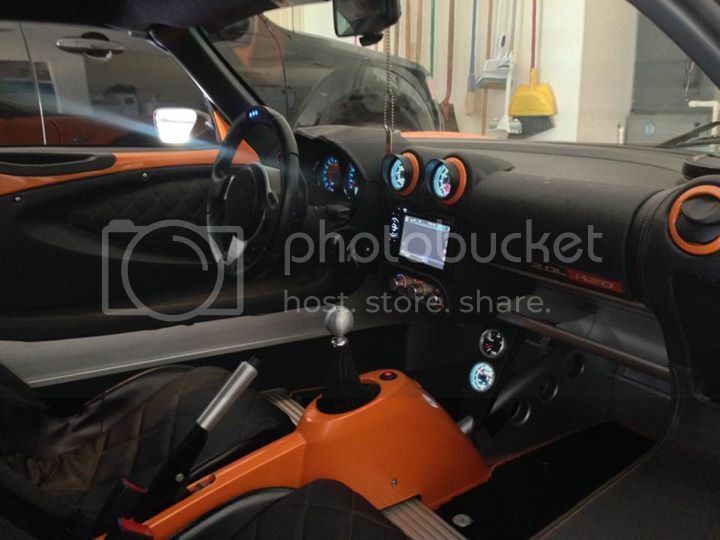 Got in touch with Chris Barry of Speed Racer Sportcars in regards to fixing the AC. Think he has a solution, a bracket/alternator set that mounts a new smaller alternator down low between the sump and lower wishbone mount. Another bracket allows the Lotus/Rover compressor to be mounted where the Honda alternator was originally located. Will have to take some measurements and photos yet to make sure. I am not actually royalty unfortunately. Anyone that calls himself the king is compensating for something and I bet it's his weiner. I've seen this car sitting outside a shop on 50 in Orlando by the executive airport. Will be leaving Orlando sooner rather than later.. Headed for Indy. Probably will be spotted at Cars and Coffee at Gator Motorsport and street car takeover type events in the future.